On Saturday 8 December, from 1.00pm to 3.00pm, local carol singers from the Rivendell Choir, will get everyone into the Christmas spirit by singing traditional carols. On Sunday 9 December at 1.30pm, there will be a festive performance by the Middlewich Bell Ringers at the Works. • Free-to-enter, Christmas Market with tented stalls selling Christmas gifts and food. There is also a heated marquee for those wanting to relax with music and a glass of mulled wine. • A visit to Father Christmas in his Winter Wonderland Grotto in the Museum’s Butterfly Garden. Children just need to follow the fairy lights and bring any letters they want to share with him. 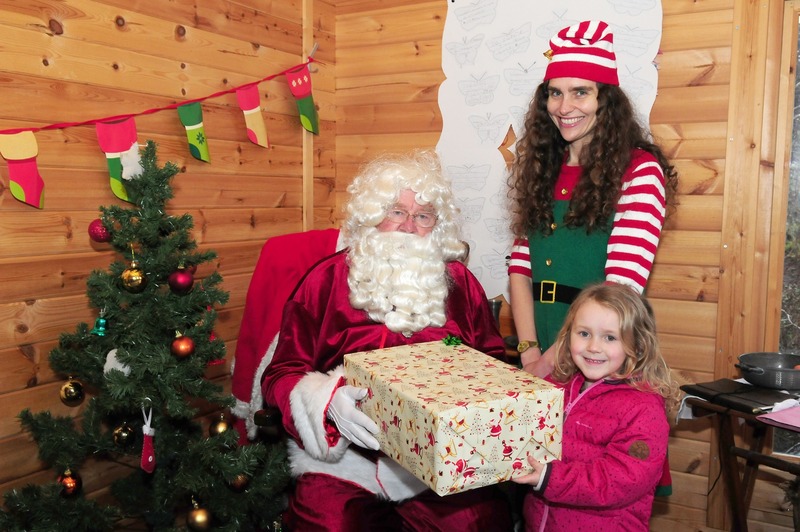 • On Saturday 8 December between 3.00pm and 7.00pm, Father Christmas will be joined by three of his live reindeer. Tickets cost £2 and each child will receive a gift and Reindeer Dust from Father Christmas. Timed tickets can be purchased on the day at reception. • Free family craft activities will be available in the spectacular, historic setting of the Thompson suite where children will be able to make a wide range of traditional items, such as Christmas cards and paper chain decorations as well as writing letters to Father Christmas. • Historic steam engines, courtesy of Clive Hearsey and local steam enthusiasts. The machines will be in full steam during the day and their owners on hand to talk about their engines. The engines on display will be two Burrell double clutch compound speed locos, “Lady Louise’ and “Alexander” as well as ‘Bessie’ a scale model tractor engine. Children will be able to ride free of charge on some of these miniature engines. • There will be free festive story-telling in the specially-constructed ‘Story Box’ in the Manager’s Office. • Christmas shoppers can enjoy browsing in the Museum’s well-stocked shop which features gifts such as a new contemporary jewellery collection, bags, books and some special items made from rock salt. • The Museum’s café offers light refreshments, including its Christmas speciality Winter Gingerbread latte. The cafe is ideally located overlooking the imaginatively-themed play area, giving adults a chance to have a coffee while the youngsters play. In addition to these activities, on Saturday 8 December, from 1.00pm to 3.00pm, local carol singers from the Rivendell Choir, will get everyone into the Christmas spirit by singing traditional carols. On Sunday 9 December at 1.30pm, there will be a festive performance by the Middlewich Bell Ringers at the Works. To mark the Heritage Lottery Fund’s ‘Thanks to You’ initiative, designed to celebrate the contribution of lottery funding to communities, over 400 sites around the country will offer free entry to any adult who shows a recently-purchased Lotto ticket or scratch card. Cheshire’s multi award-winning industrial heritage site, the Lion Salt Works Museum in Northwich, will be part of this initiative from Tuesday 4 – Friday 7 December (10.30am to 5.00pm). * For more information, contact the Museum on 01606 275066.